Our wood Low Platform Bed frame has a distinctly minimalist feel, making it ideal for those that have limited room space, such as an attic or loft bedroom. This wood bed looks particularly attractive in our black, tanned and sandy colour stain finishes. It is a part of our low wood bed range, which features a selection of wood beds that take inspiration from the Japanese tradition of near-floor sleeping. They offer a stylish subtle atmosphere, making your bedroom appear more spacious, they are an excellent choice if you’re looking to bring an element of class and culture to your bedroom. Why Choose A Low Platform Bed Frame? The Low Platform Wood Bed frame is a sought-after solution for smaller rooms and bedrooms with sloping ceilings. This platform wood bed frame is lower to the ground and is renowned for creating a spacious feeling in any bedroom. 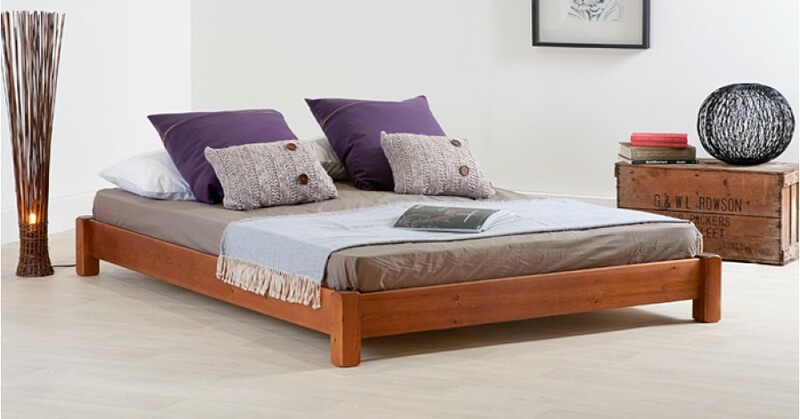 Our handmade Low Platform Bed frame is a suitable solution for placement in loft bedrooms, attic conversions and awkward spaces in which a standard height bed frame would be impractical. Not only that, but the platform design is essential in providing these benefits - It’s a stylish modern and contemporary design that takes inspiration from the oriental style beds. The Low Platform Bed combines these two eras of sleeping styles, to make a contemporary design that is both stylish and desirable for any bedroom type. 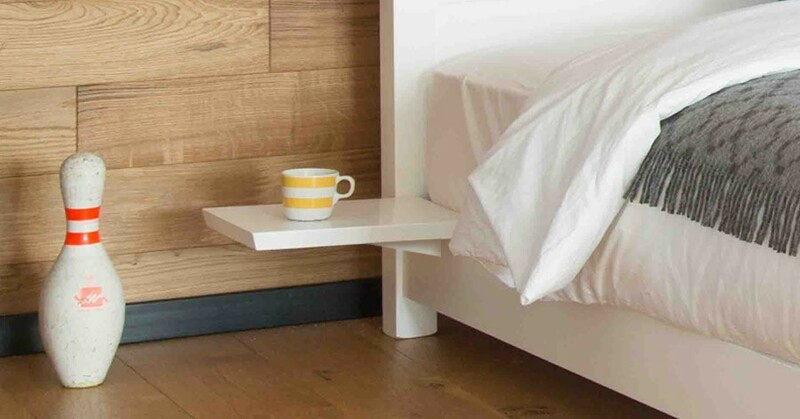 The low height of the bed, makes it feel much more spacious, this is because you don’t have a bulky bed frame that takes up your valuable bedroom space. 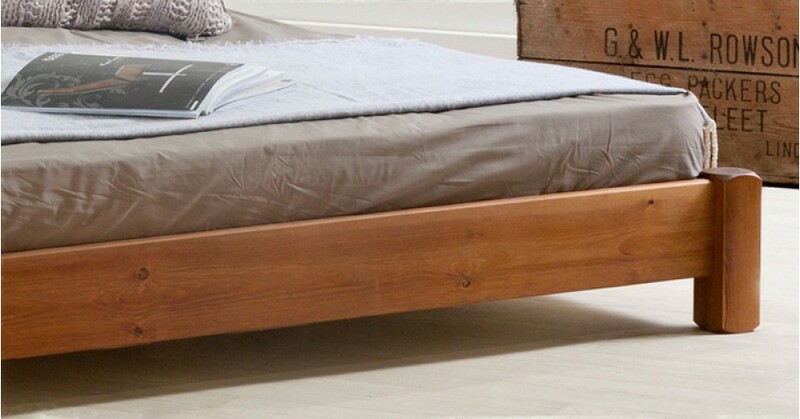 This low wood platform bed frame is available in a variety of wood stains and finished by hand in a clear satin, this provides the wood with a protective layer. 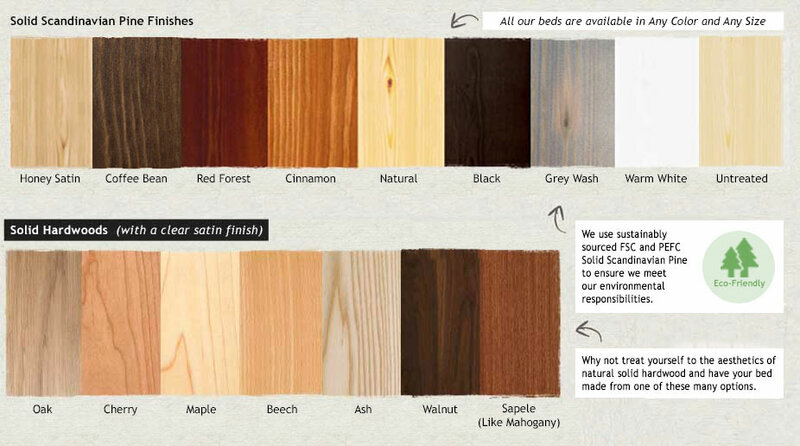 We have a variety of finishes available which you can use to personalise your Low Platform Bed. There are 10 different Solid Scandinavian Pine finishes that we offer, our black, white and tanned finishes tend to be particularly with this Low Platform Bed frame. We also offer 8 Solid Hardwoods, this provides an aesthetically pleasing, natural looking finish. We also offer a wide range of size options for your wood frame, from a twin size to our unique 9ft super caesar bed size. All of our wood beds are handmade to order by our skilled carpenters and joiners, so if you have a bespoke size or a particular requirement, then feel free to give us a call. We will be more than happy to custom-make your wood bed in order to meet your specific requirements. Each bed is rigorously checked for quality and accuracy before it leaves the workshop, it is then carefully flat packed for convenience and shipped straight to your doorstep. 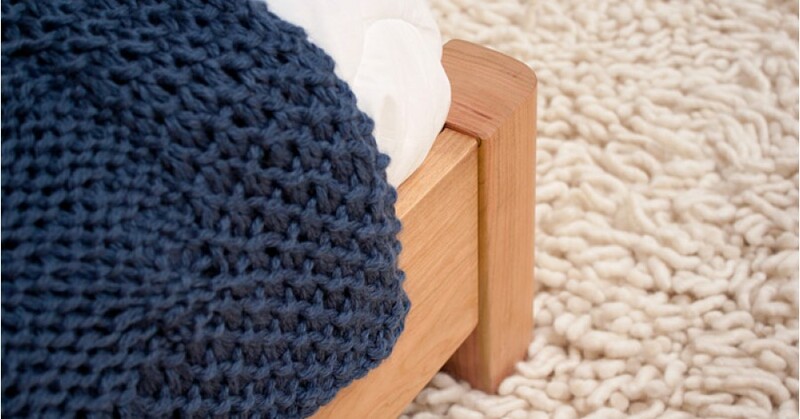 The handmade wood Low Platform Bed takes inspiration from a variety of our popular wood bed designs. If you are looking for the same style but as a standard height bed, then our standard wood Platform Bed is the ideal choice for you. If you like the style of the Low Platform Bed but want a low bed frame that comes with a headboard, you may like our Low Oriental Bed, which includes a headboard for extra support and comfort. Please note: Bedding is not included with this wood bed frame. They can be purchased separately.